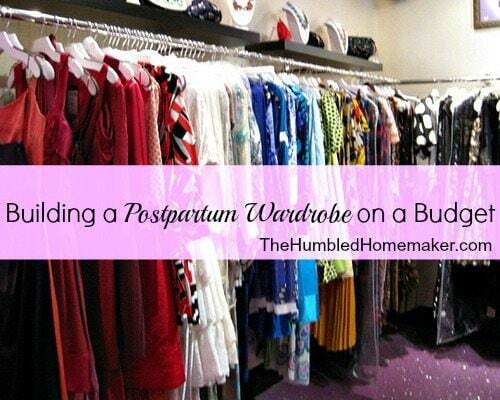 Today we’re giving tips for building a postpartum wardrobe on a budget. Not to sound harsh, but pride goes before the fall. And I can say that because I’ve been there. Two weeks after having my first, I was back into a size 2–barely holding at 115 lbs. 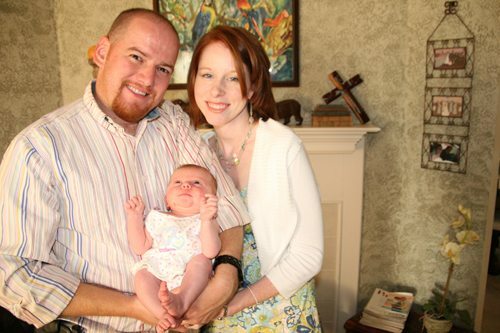 and no sign of the diastasis* or stretch marks I have now–after 3 kids (that I had in barely a 4-year span). I was also in my 20s, got plenty of sleep (remember, I had one kid!) and was active. And I didn’t even try to lose the weight. Breastfeeding was “good” to me. She just sucked all that fat out of me! And I thought “baby weight” was a myth! The second and third time? Not so much. I was humbled all right–and now I know what it’s like to be on the other end. To really struggle to lose weight. To spend hours wading through my closet to find just one article of clothing I could fit. All that said, I’ve now realized that very few women can just bounce back from pregnancy and fit into their “skinny” jeans two weeks later: age, activity level, family stress, work, metabolism, underlying health problems, responsibilities, and even income can all play a big part into how the postpartum body looks. But how in the world can one afford an entire postpartum wardrobe on a budget? Purchasing new clothing on consignment will save lots of money–and, most of the time, consignment stores will only accept gently-used clothing. This way, you are landing a deal and scoring high-quality clothing that will get you through that in-between stage when you are still losing weight. This will probably be your cheapest bet. You may have to visit a few more sales than you would if you were visiting a consignment store–and the clothing may not be as high of a quality, but you are sure to find some steals of deals for that postpartum period. 8 weeks postpartum with baby #2. The weight loss was slower this time. I got the outfit for free at a women’s clothing exchange. This is my whole family, by the way! 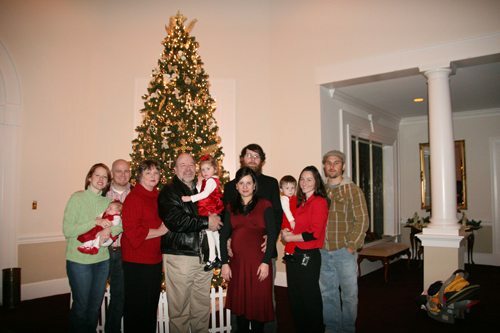 Well, minus 4 grandkids that have come in the two years since this photo was taken–and there is a 5th one on the way! 3. 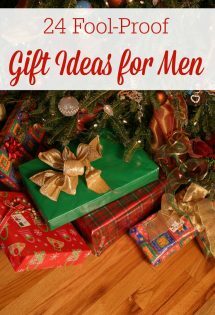 Ask for new clothing–or gift cards–for your birthday, Christmas or for other special occasions. My birthday wasn’t until 3 months after my my recent baby’s birth, but after wearing maternity clothes for over two months after her birth, I asked my mom if she would mind buying me some new clothes as an early birthday present. She was delighted, and I finally was able to fit into some non-maternity clothes–and just in time for me to attend the Allume Social Christian blogging conference! 4. Trade clothes with friends. This is another way in which I’ve been able to “afford” new clothes after baby. I have a dear friend here who has dropped 5 sizes in the past year and a half! I actually gave her some of my old skinny clothes a while back, and she recently gave me some of her bigger clothes. 9 weeks postpartum with baby #3. My mom had bought me some clothes for my birthday since, in this picture, I was about 50 lbs. heavier than I was during my first postpartum period! 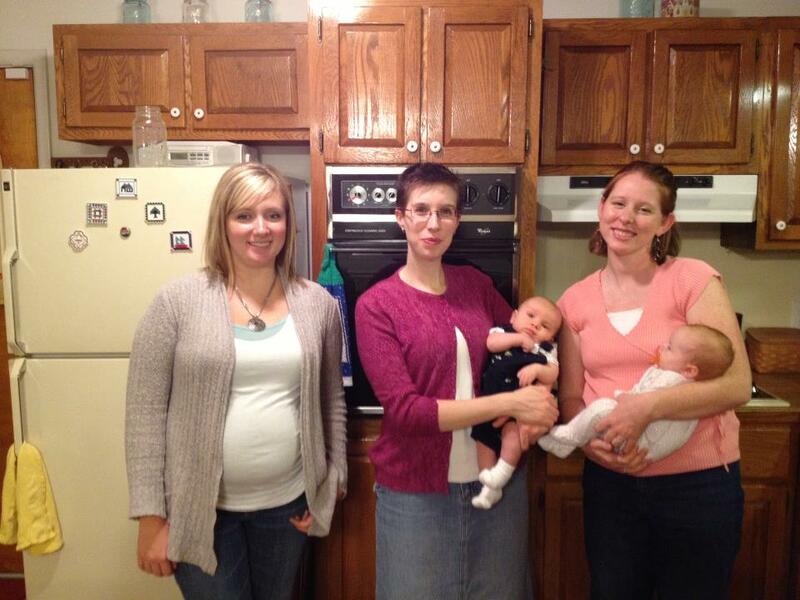 Here, I’m standing with my blogging bffs–Stacy of Stacy Makes Cents (who was 8 weeks postpartum at the time) and Mindy of Creating Naturally (who was preggo!). 5. Work with what you have. As we talked about in last week’s post, sometimes you just have to work with what you already have, and there’s no way around it. Pull out whatever stretchy/elastic waistband clothing you have. Gaucho and yoga pants and flowy skirts and blouses are so helpful during those months after baby is born! And remember–you will hopefully fit back into your pre-pregnancy clothing at some point! So as tempting as it may be to get rid of it all, hang on to your favorites (or all of it). Before you know it, you (and I) will be back in those skinny jeans! 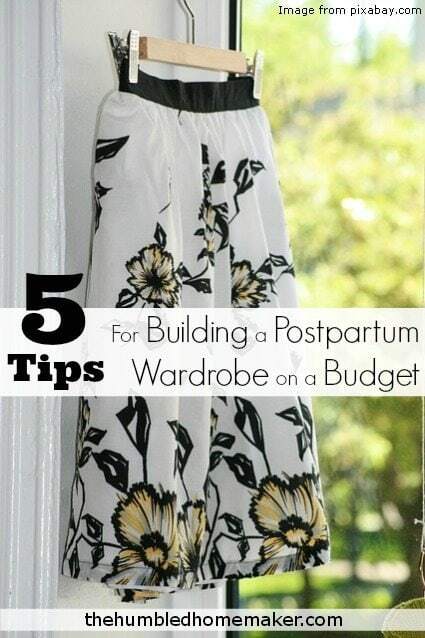 What are your tips for building a postpartum wardrobe on a budget? Fit2B is an effective and safe way to get in shape after pregnancy! For just $14.99/month, Fit2B is a fraction of the price of a gym membership. But Humbled Homemaker readers get an even better deal! 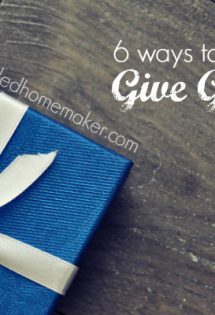 Use code humbledhomemaker to get 30% off a 1-year membership! Thanks for sharing these suggestions and discussing this issue. I’m three months postpartum with my first, and I don’t fit in all of my pre-pregnancy clothes. I’ve been so hesitant to spend money on a new wardrobe (even from thrift stores) because I’m still hoping I’ll get back to that size. Alexis @ A Moment with M.O.M. 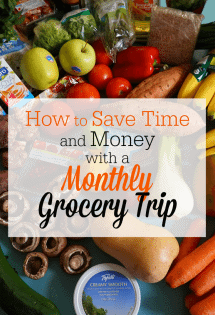 Great tips, thank you for sharing. Twins followed by a single in 12 months has left me far from where I was years ago. Eating right has helped but I’ve had to accept that my body will never be that size 2 again, I am just not that shape anymore. ~Alexis on behalf of everyone at A Moment with M.O.M. Glad i am not the only one…but there is hope! Thank you for postingtthis! I was blessed like you after my first pregnancy. I lost all my baby weight plus an additional 18 pounds. I’m almost 5 months pregnant with #2 and can already tell my body is carrying differently & I’ve had to be super conscious of what I eat. I had to stretch my maternity wardrobe since I’m pregnant in different seasons (I was full term Dec ’12 and just starting my pregnancy this Winter (due in July) so I hit up a lot of consignment shops already. I’ve been sticking to stretchy skirts & leggings & dresses so I can carry that over to my postpartum days! What about nursing stuff? A lot of my pre preg stuff is not conducive with comfortably or modestly nursing. I am 3 weeks post partum with my 2nd but am already wearing some of my old stuff cause I was actually heavier with my first pregnancy than with my 2 nd. I wore a lot of nursing camis underneath other shirts when nursing! Congrats on the new baby!